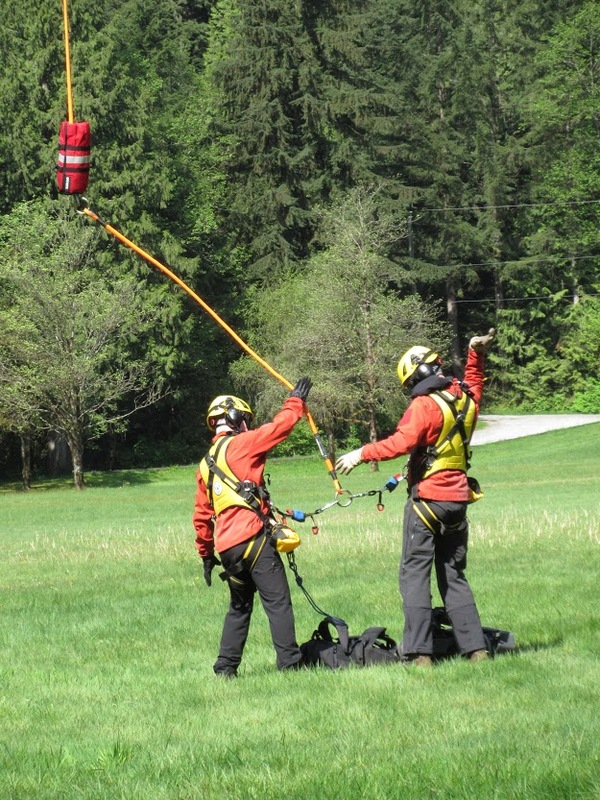 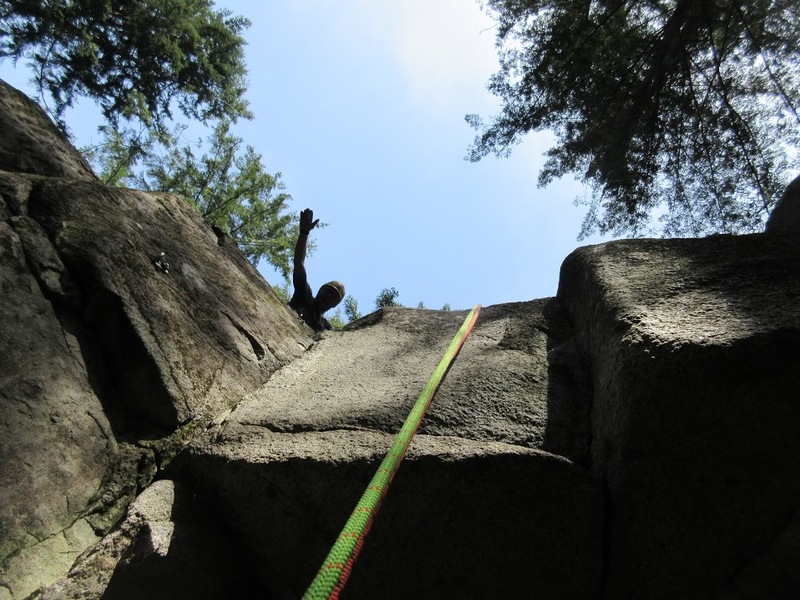 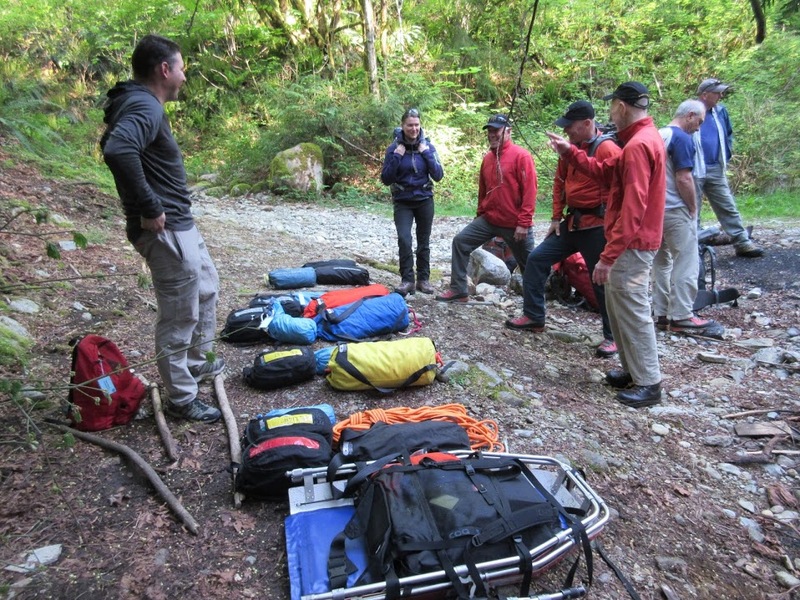 Spring is well on it’s way and Coquitlam SAR is nearing the end of our “spring training” to be ready for the busy summer hiking season. 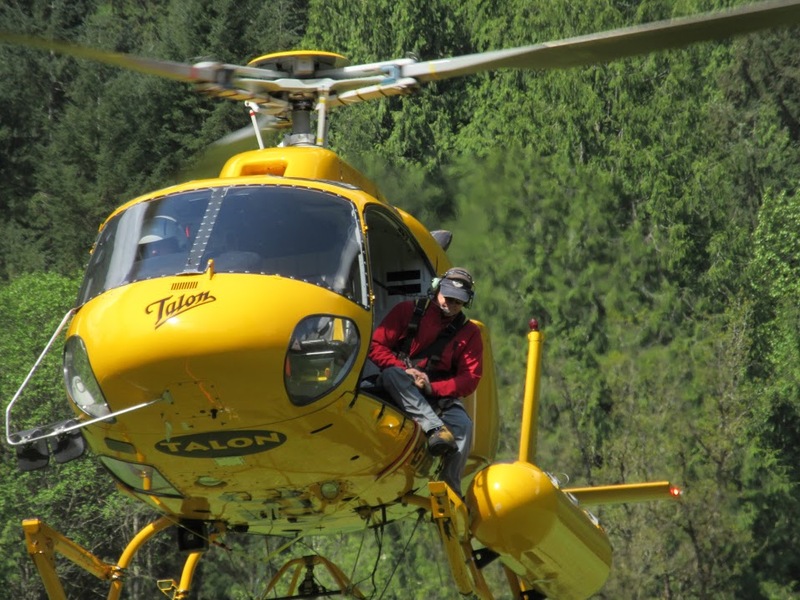 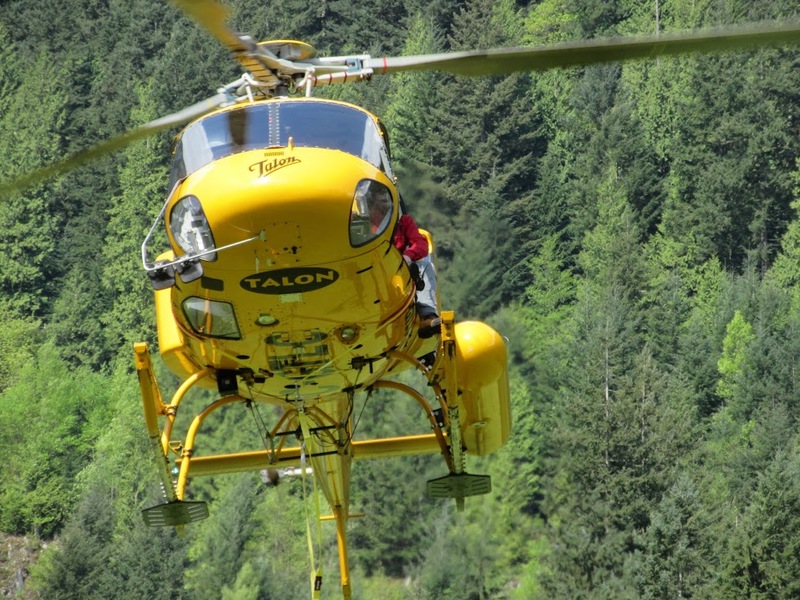 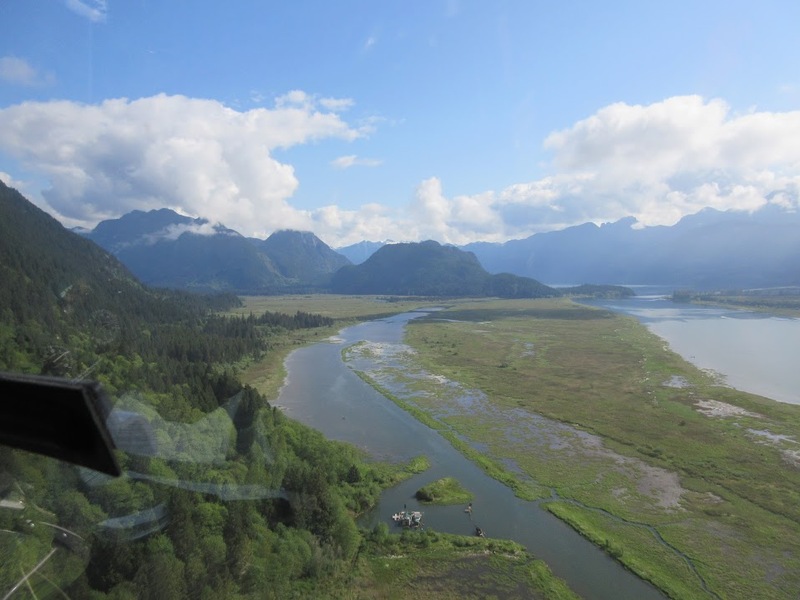 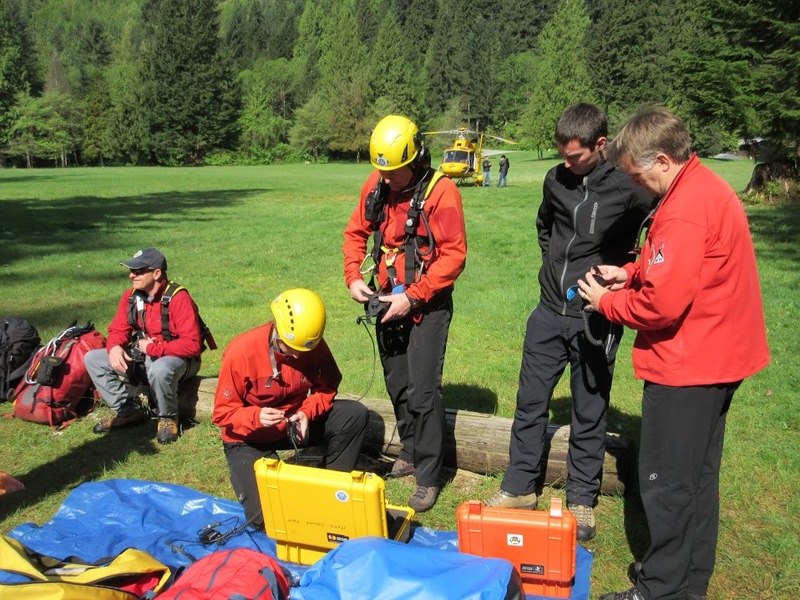 That season had an early start with the team responding twice in the same day to Eagle Ridge to rescue four people in two separate incidents on Wednesday April 29th. 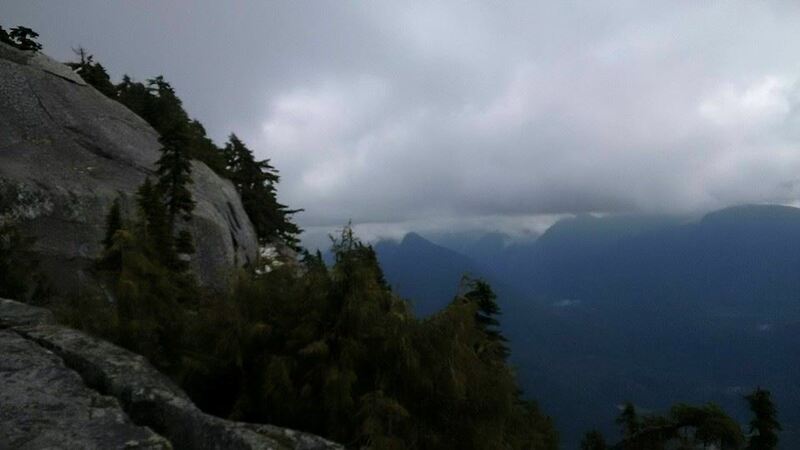 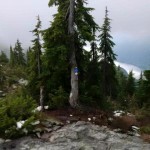 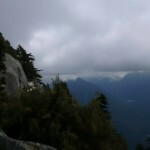 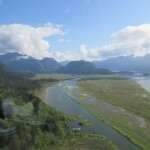 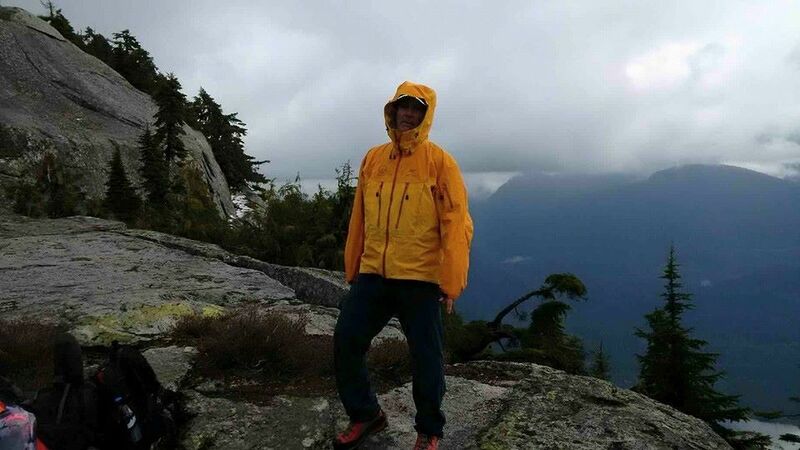 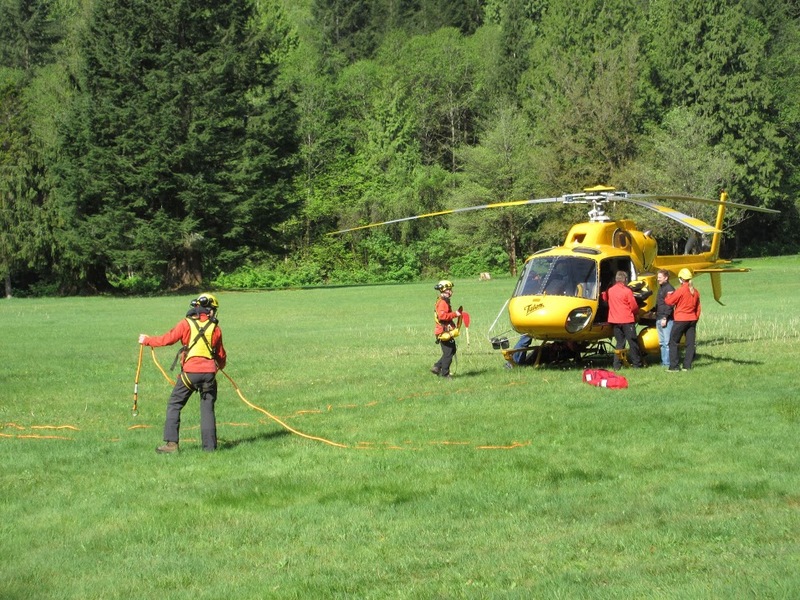 In the first incident a couple who had been planning to spend several days camping in the area called for help when they were unable to find the trail. 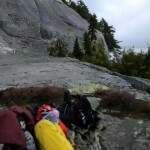 They were also soaking wet from a downpour the previous night and were on the edge of hypothermia. 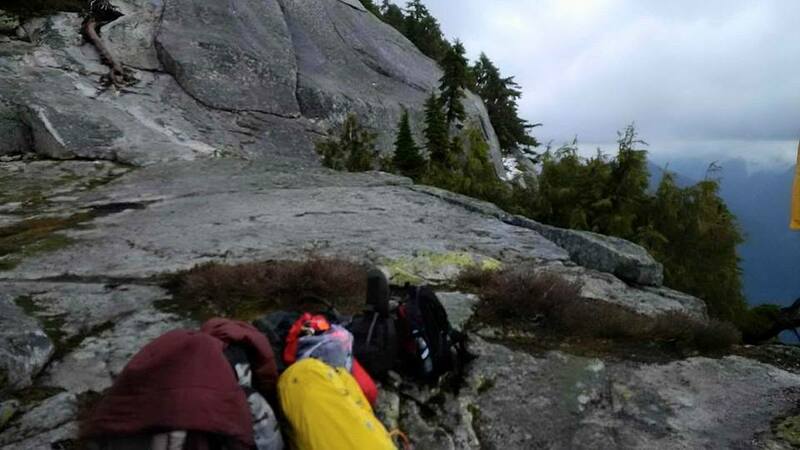 The team extracted them from the ridge top in light snow flurries and they made it home under their own steam with no ill effects. 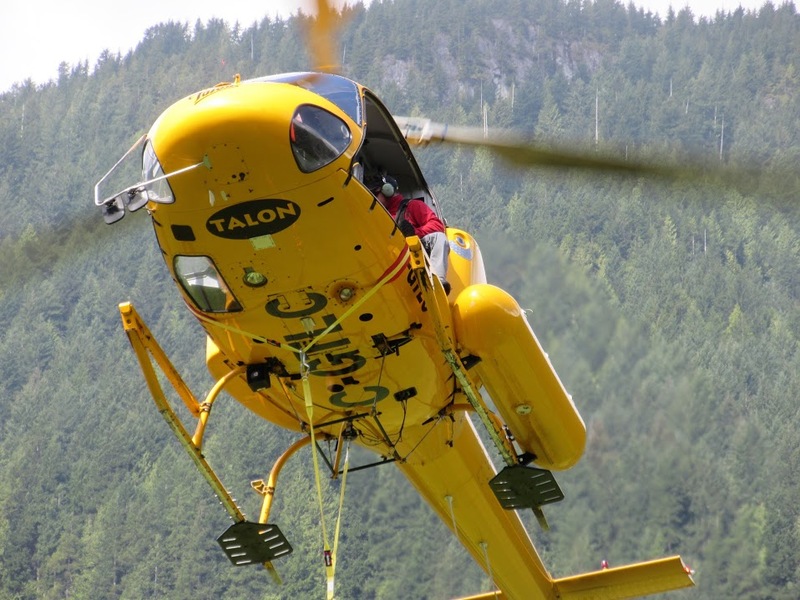 The second incident the same day involved another couple who had been overcome by darkness near Barton point on Eagle Ridge. 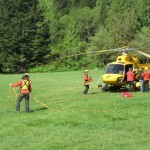 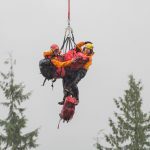 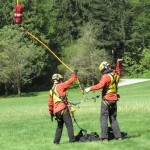 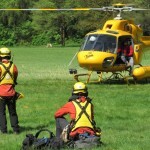 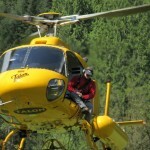 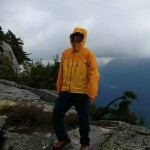 They made the wise decision to stay in one place while the Coquitlam SAR sent two teams into the area. 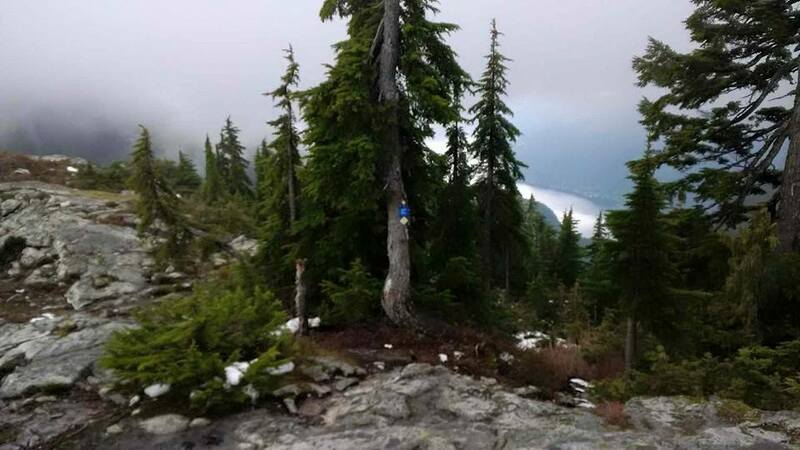 The team on foot accessed the subjects, rewarmed them, and hiked them out to the network of deactivated roads on Eagle Ridge. 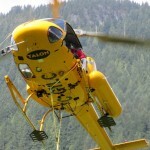 There they were met by the two more members driving the team’s 8×8 Argo Avenger ATV. 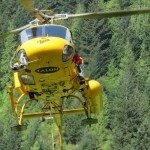 They the couple was driven down the mountain and released, also with no ill effects. 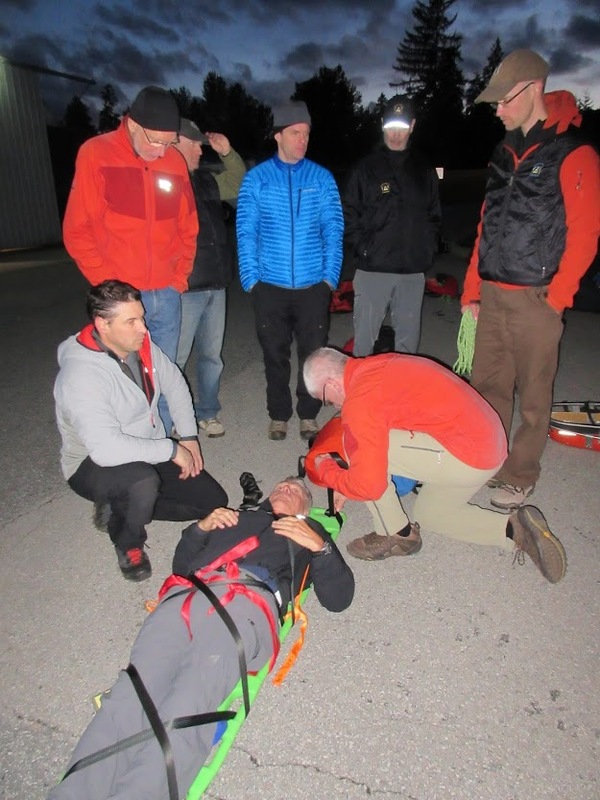 Several members of the team took the first responder first aid course for the first time, several recertified, and one member attended even though she didn’t require any re-certification. 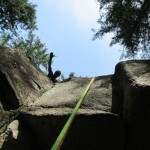 As she said, she just likes keeping her skills extra sharp. 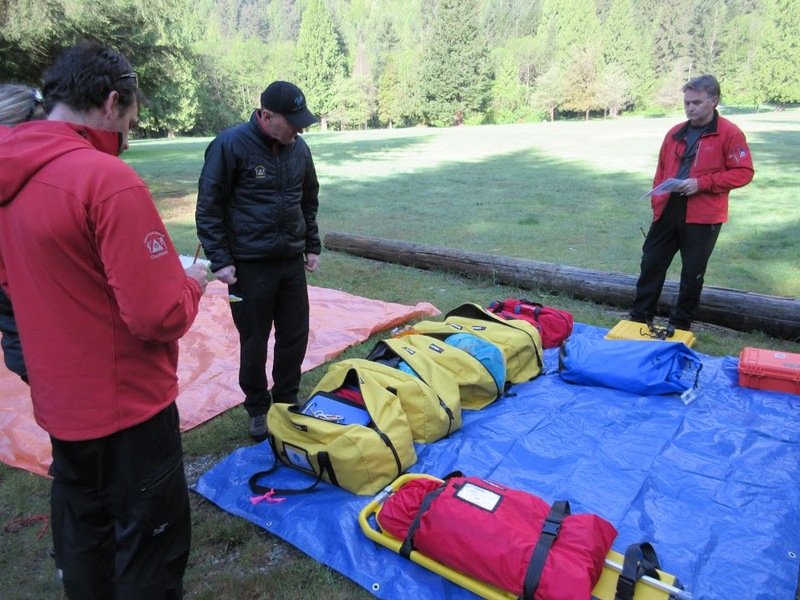 The rest of the team drilled on first aid skills including patient packaging which is essential to move an injured subject. 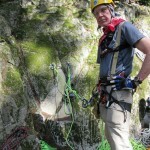 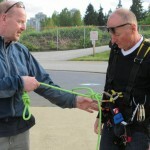 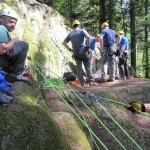 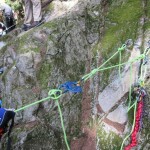 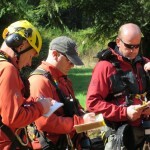 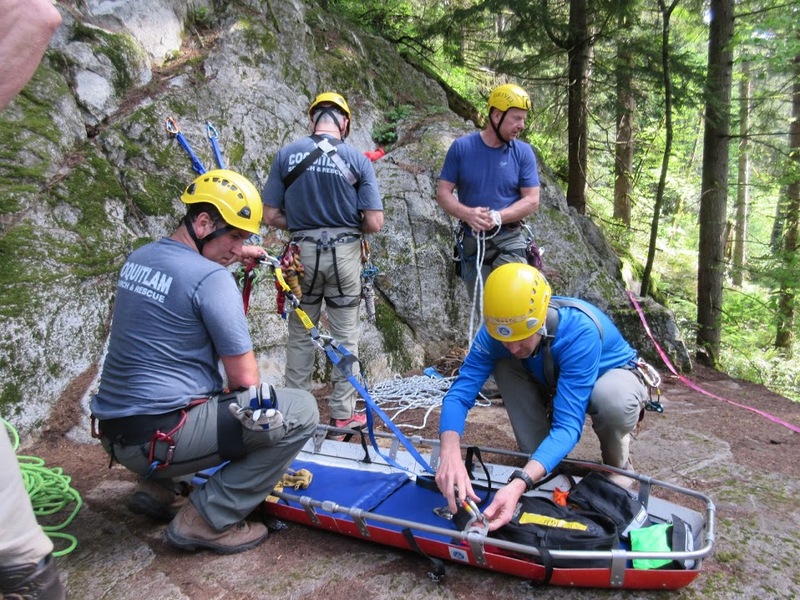 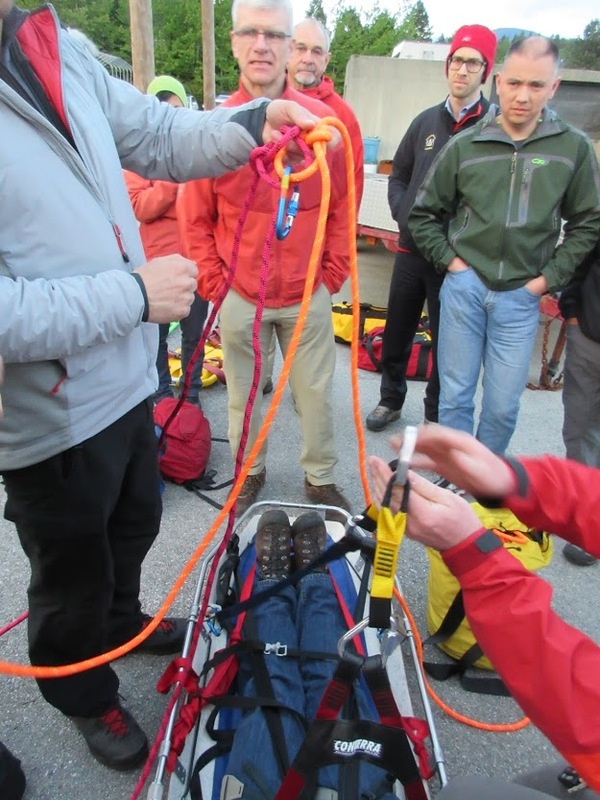 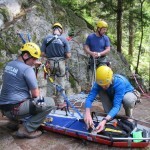 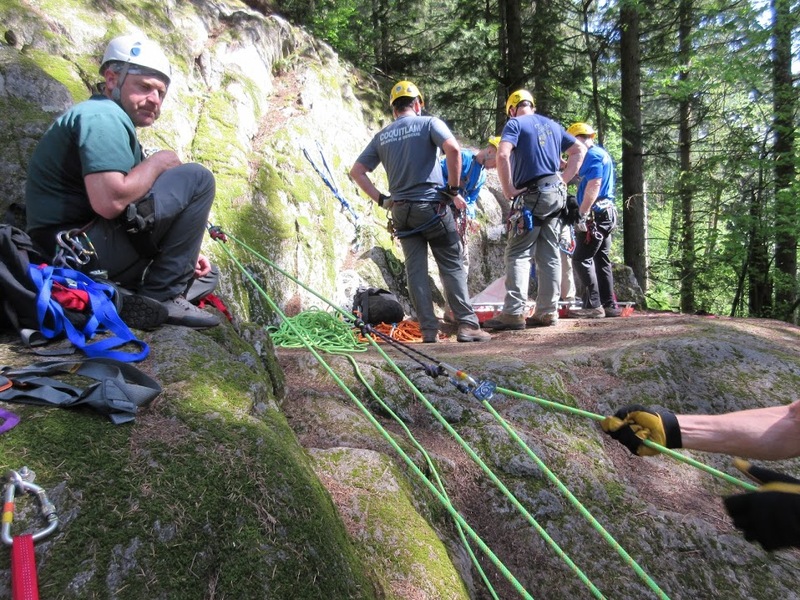 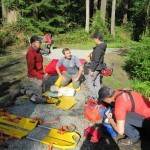 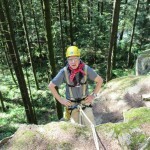 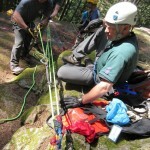 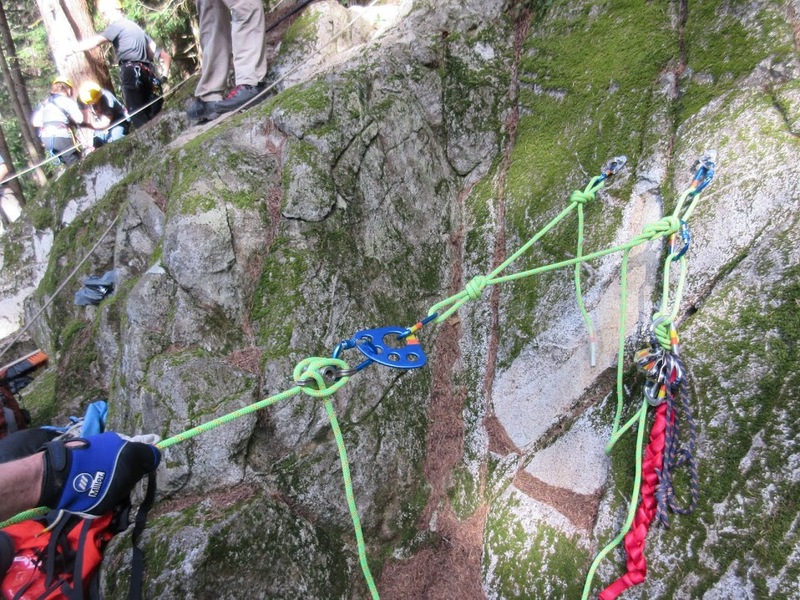 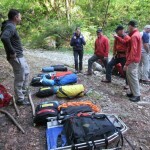 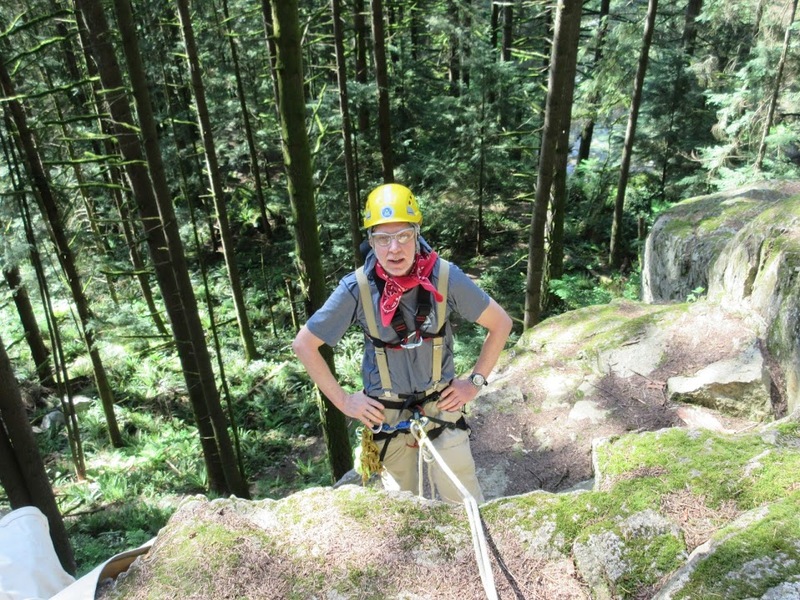 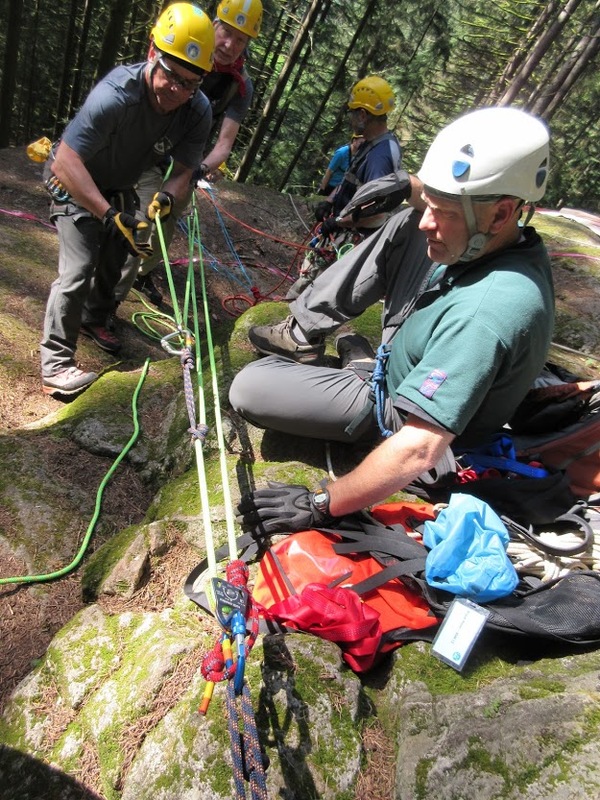 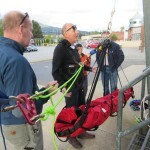 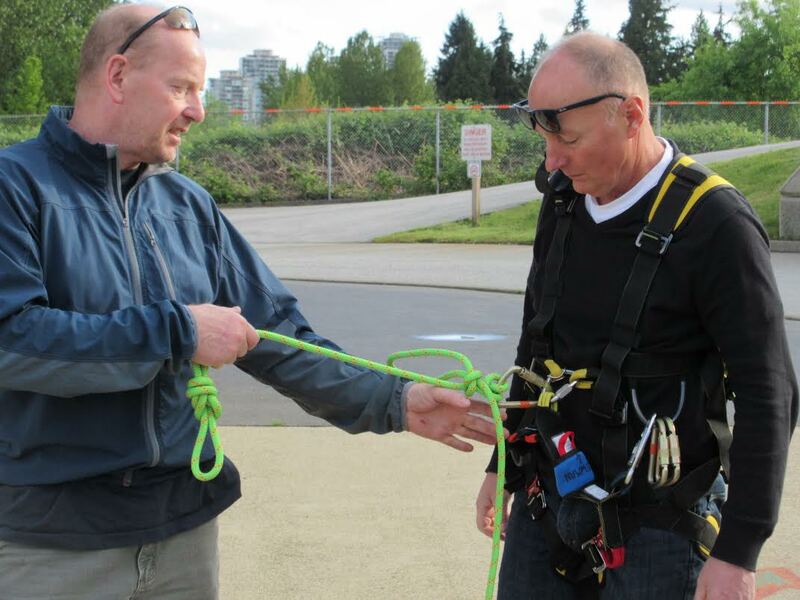 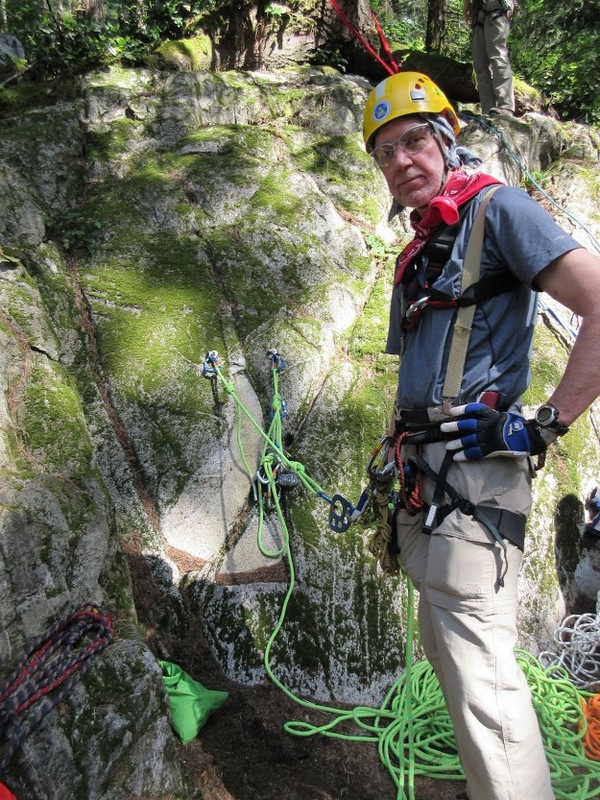 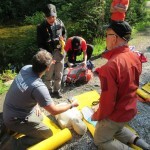 Every year the team trains for rope rescue techniques, used for rescues in steep terrain to move people and equipment, and to extract stranded or injured people. 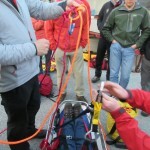 This year’s course is in its sixth week, and will be complete in mid may. 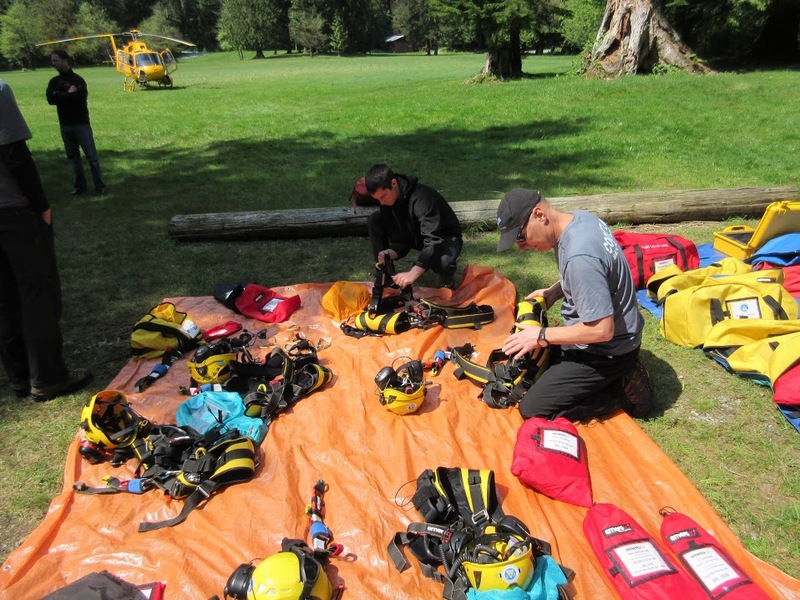 Members have been training every Tuesday, on weekends, and several are brusing up on their own time for upcoming evaluations. 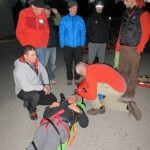 The team trained for two days, and several evenings in advanced scenarios in long line rescue with our helicopter rescue provider, Talon Helicopters. 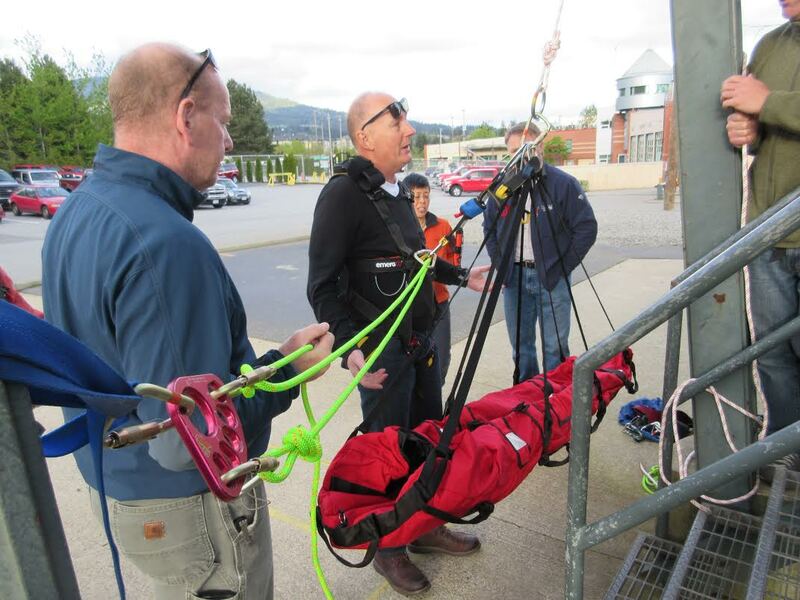 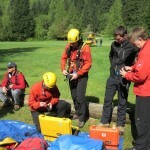 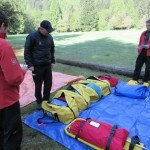 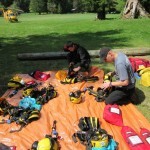 Training was held near Widgeon Slough and involved rescues from steep terrain and rescues from rope rescue stances. 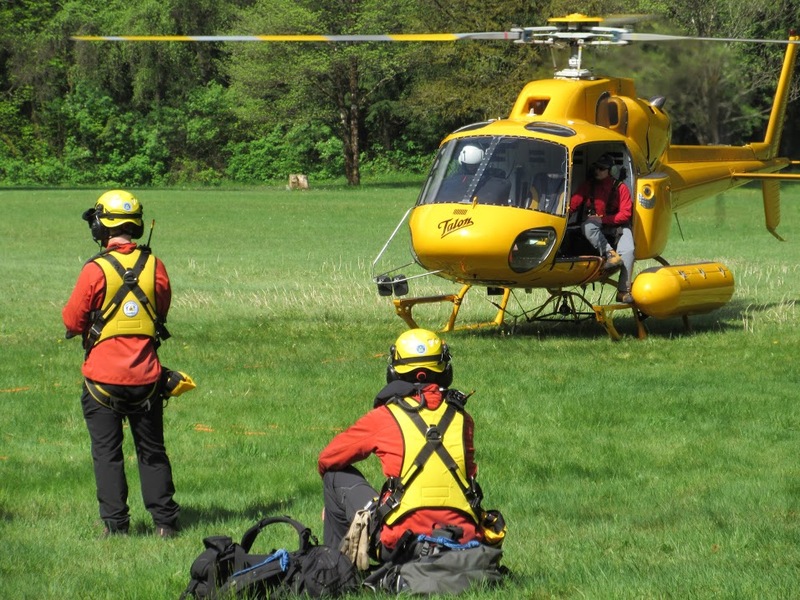 This was the first scenario for some of the new members of the team who are trained specifically as spotters (essential crew). 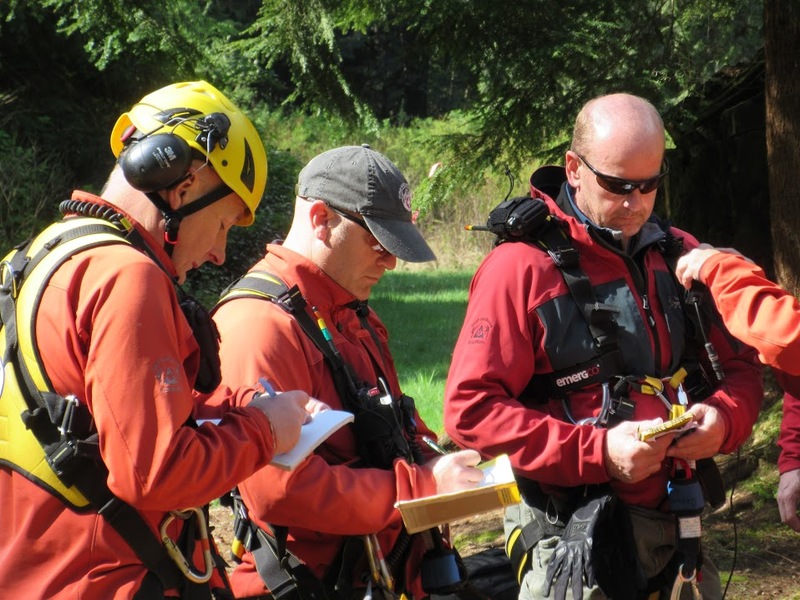 Don’t hesitate to call for help when you need it. 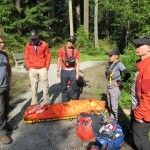 Have a fun, adventurous and safe spring and summer hiking season.